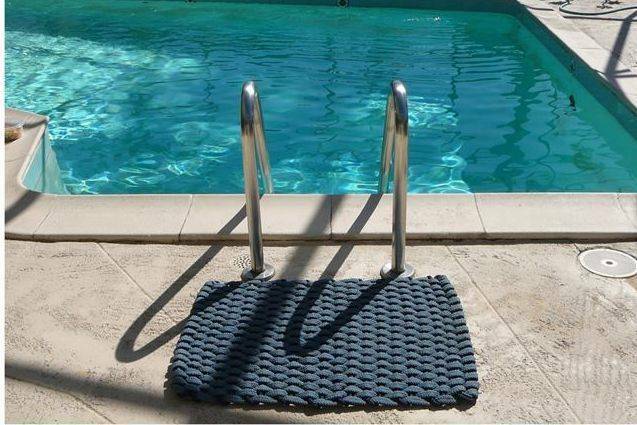 Rockport Rope Pool Mats work great keeping the dirt out of the pool and the water out of your home. Machine washable (hang to dry) This is just one of the many uses our hand woven rope mats have. They work well for RV mats, boat mats, entry mats, door mats, pet mats, kitchen comfort mats, bath mats and more. These mats are hand woven by creative, thoughtful artisans in Houston TX. They are elegant yet very durable. The soft synthetic fibers wipes your feet super clean. There is no rope mat on the market that is as soft and easy on your feet. They complete the look no matter where you place them.